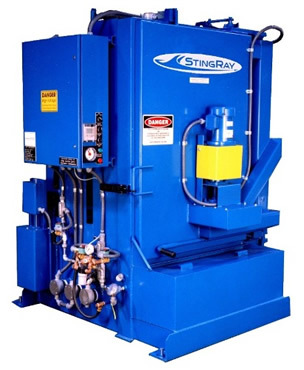 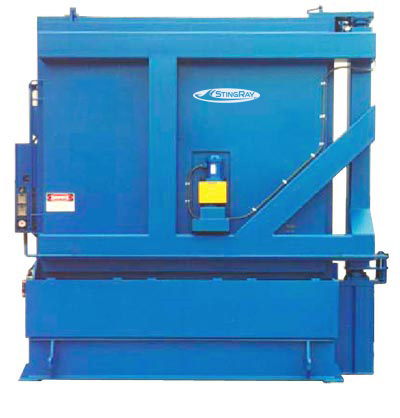 StingRay Manufacturing manufactures a complete line of heavy duty industrial parts washers designed to meet the rugged requirements and short cleaning cycle times of our industrial customers like Caterpillar, Komatsu, Rolls Royce, P & H Minepro, Air Canada, New York Department of Transportation and many more. 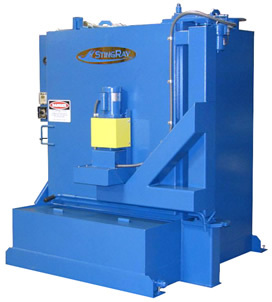 Our standard models are listed below. 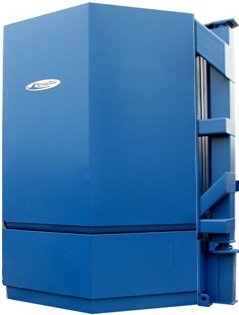 Model numbers indicate the diameter of the turntable and work height: IE 3040 is 30-inch diameter turntable with a 40-inch work height. 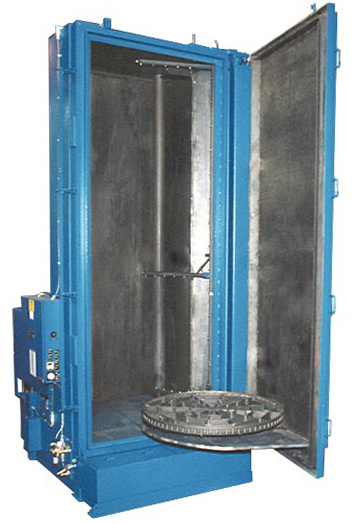 60112 is 60-inch diameter with 112 inch work zone, 13648- 136 inch diameter by 48 inch work height. 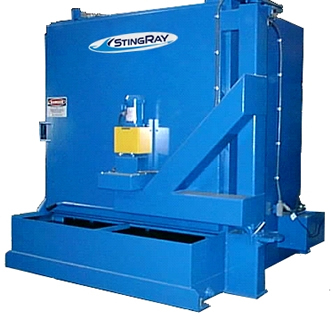 StingRay Retractable Parts Washers are perfect for a wide variety of industrial aqueous cleaning applications. 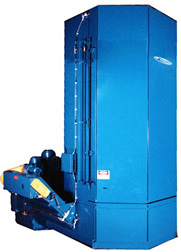 The smaller models were designed for the washing of automotive, transmission, and diesel engine parts and components. 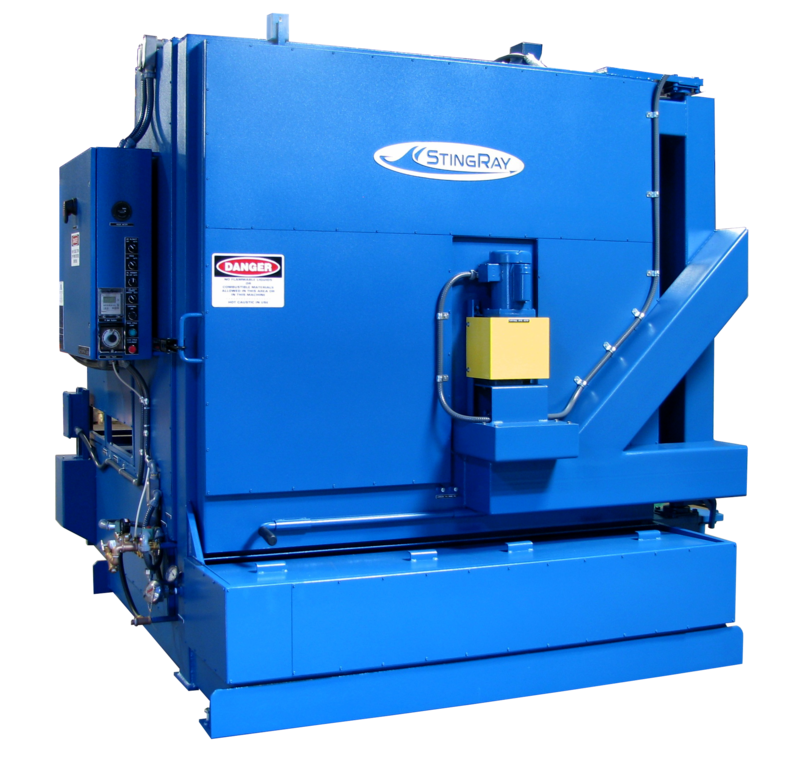 Larger models are used for parts washing by electrical motor rebuilders, wheel shops, diesel engine rebuilders and the US military. 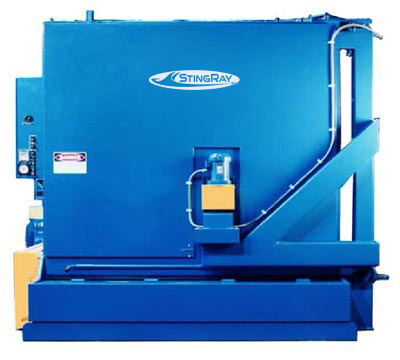 These parts washers excel in applications where the cleaning power of the innovative StingRay washing pump can truly be utilized to remove some of the toughest industrial dirt and grime. 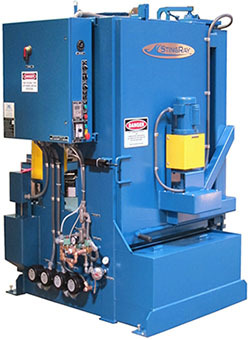 Engineered for cleaning larger components like Caterpillar engine blocks, locomotive traction motors and crankcases, ink totes, and jet engine components. 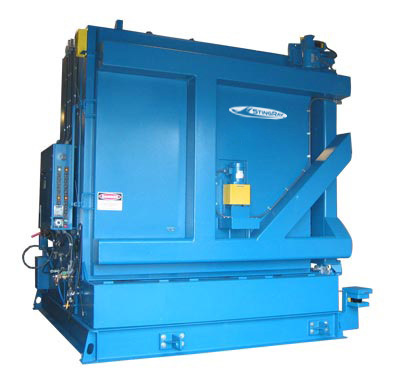 Manufactured for applications beyond the capacity of the standard retractable turntable washer. 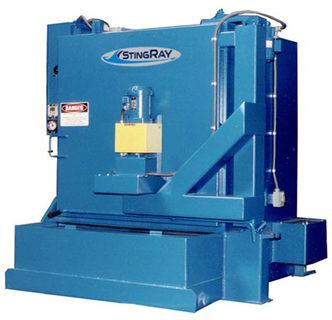 The StingRay Clamshell washer is designed to handle loads up to 82,500 lbs and work heights matching your tallest parts cleaning requirement. 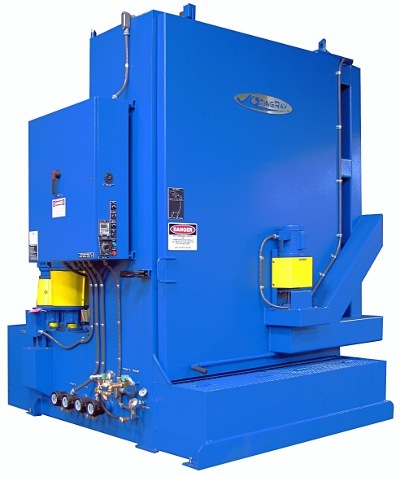 Many standard features for this industrial washer line include our New Heavy-Duty 70 hp pump systems and sludge removal system to minimize maintenance. 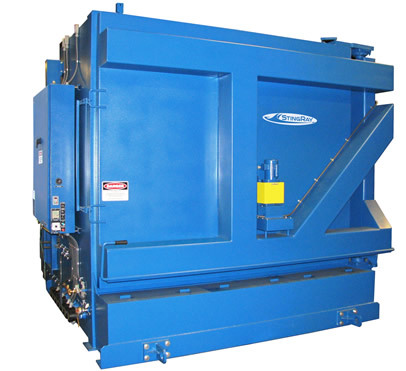 The v-notch roof line of the clamshell configuration offers easy access for loading with an overhead crane. 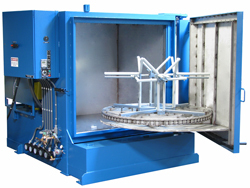 Engineered for large volume parts washing, this washer is fully automated and designed into your process. 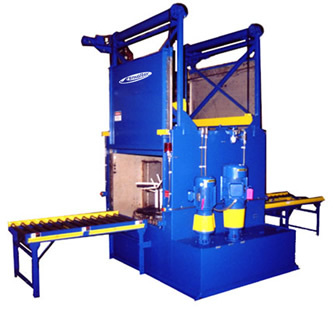 It is a favorite for washing rail bearings. 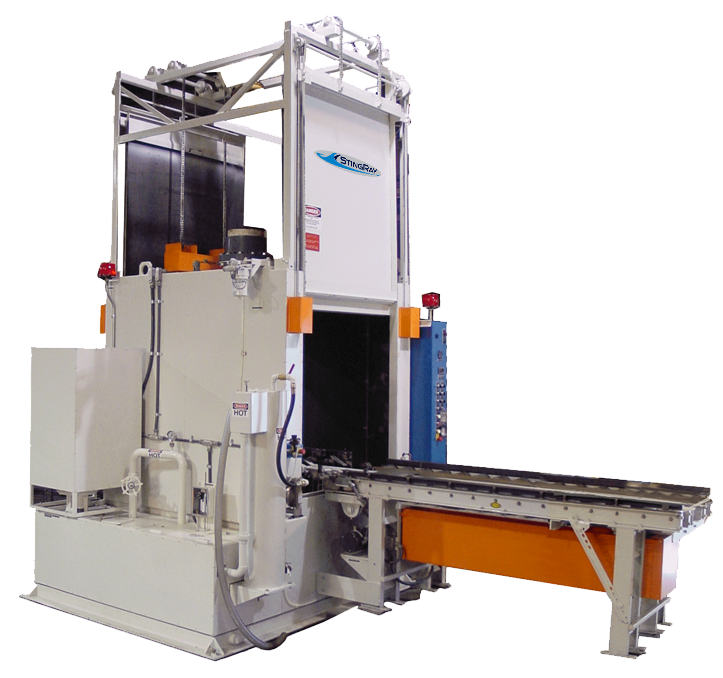 Depending on your part washing demand we can include any of our automated conveyor systems and fixturing. 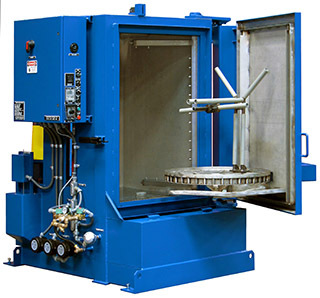 Engineered to clean aircraft wheels of all sizes in quick cycles, these parts washers feature complete cleaning system with high power density that remove rubber bead without brushes and produces clean and dry wheels in under 15 minutes. 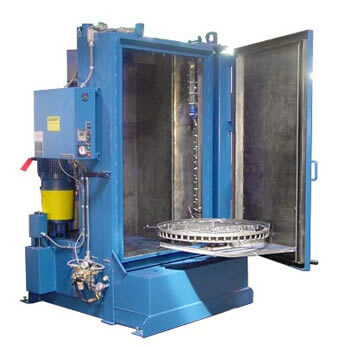 Used throughout the aviation industry for washing wheels as well as aircraft brakes. 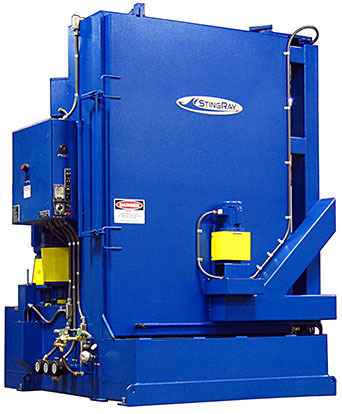 Stainless Steel construction for long economic life.